Declan Kearney is a specialist in human resource management, leadership, the management of change and public sector restructuring and reform. He was Associate Professor in Public Management at the Institute of Public Administration in Maastricht following which he became Head of Public Sector Consulting at the international consultancy firm Hay Group. Having set up his own company Declan now specialises in all aspects of human resources management and the development of human resources policies in both the public and private sectors. He also leads major policy reviews, change management and leadership development assignments. Chief amongst these were a major change programme at Dublin City Council, a World Bank assignment on administrative reform in Eastern Europe and evaluations of national performance management policies in both the local authority and health sectors. 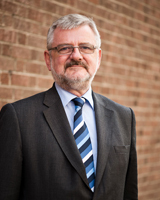 He is an accredited executive coach and mediator and is a member of the Irish Management Consultants Association and the Certified Institute of Personnel and Development.